Blank character sheet from pages B335-336 of GURPS Characters. Includes a few simple auto-calculations. Blank character sheet, as above, except Attribute costs (only) are not calculated. Blank character sheet, as above, except no auto-calculations at all. “Seven-Minute GURPS Character” rules (outdated, replaced by below). 4 skills) using the latest Quick-Start “Seven-Minute GURPS Character” rules. 6 skills) using the latest Quick-Start “Seven-Minute GURPS Character” rules. 8 skills) using the latest Quick-Start “Seven-Minute GURPS Character” rules. The most current version of the simplified character sheet for basic GURPS games (black & white version). The most current version of the simplified character sheet for basic GURPS games, this one with some color splashes. A different version of the simplified character sheet for basic GURPS games. A simplified character sheet for basic GURPS games. A form-fillable character sheet for GURPS Ultra-Lite characters, as discussed in this post. Fillable form version of the Dungeon Fantasy RPG Character Sheet from the “Adventurers” book. Fillable form version of the Dungeon Fantasy RPG “Monster, Traps, and Diseases/Poisons” sheet from the “Monsters” book. Fillable form version of the Dungeon Fantasy RPG “Spell Sheet” from the “Spells” book. The Campaign Planning Form from page B567 of GURPS Campaigns. A worksheet that allows players with no knowledge of GURPS to describe their character in useful GURPS terms to assist the GM in creating it. Blank NPC Record Cards from page B569 of GURPS Campaigns. Four cards per sheet. Blank Time Use Sheets from page B569 of GURPS Campaigns. Two per sheet. Blank Time Use Sheets as above, except values are not calculated. Two per sheet. My most recent custom GM screen for GURPS 4th Edition, as discussed in this post. Features a standard 12-point font, color coded section titles, and eight pages’ worth of streamlined GURPS-y goodness. Table displaying various grenades and their effects broken down by distance in yards from point of explosion, as explained in this post. Summary sheet of the Hit Locations from GURPS Basic Set, Martial Arts, and Low-Tech. Summary sheet of some of the Hit Locations from GURPS Basic Set and Martial Arts (excluding Nose, Spine, and Weapon). Includes the Posture rules from page 99 of Martial Arts. Summary sheet of the Maneuvers and Posture Table from GURPS Basic Set and Martial Arts. 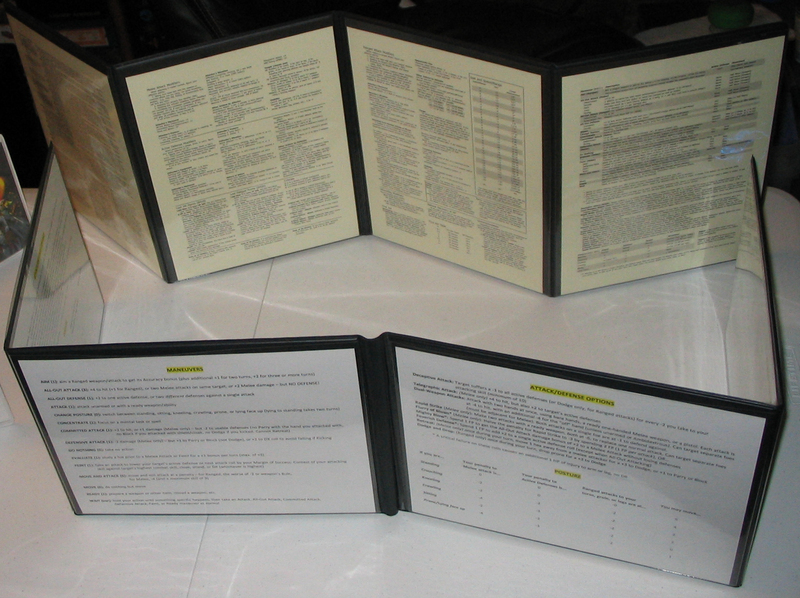 A four-panel, densely packed but simplified GM screen as described in this post. Simplified summary sheet of the Maneuvers and common combat options from GURPS Basic Set and Martial Arts. Extremely simplified collection of GM info for running streamlined games. 11 examples of combat in PDF format, using the GURPS 4th Edition rules. Includes the examples FAQ and a directory page. Note: This is an older project, and some of these are not as up-to-date as the web pages they are taken from. A .gdf file for GURPS Character Assistant (GCA) that attempts to auto-mark all Skills, Advantages, and Disadvantages for inclusion on the GM Control Sheet as they are added. An MS Word .docx with a template for printing out tri-fold character figures. Swap out the text and pics, print on cardstock, fold and glue. Excel spreadsheet to assist in following the steps and learning the GURPS 4th Edition combat system. Alpha version. 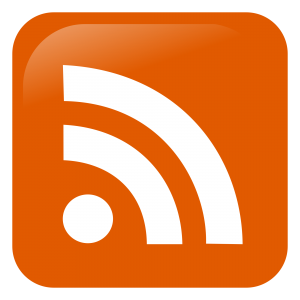 A master list of all Occupational Templates, Occupational Lenses, and Racial Templates published for GURPS 4th Edition, with where they can be found and point totals. All Advantages, Disadvantages, and Skills from the Trait List on pp. 297-304 in a spreadsheet format (.xlsx) for ease of filtering and arranging, as noted in this post. 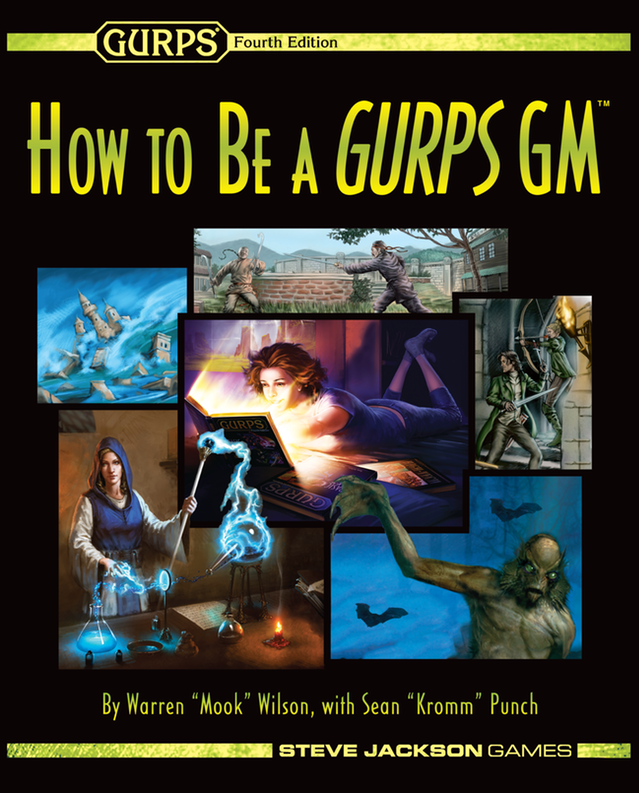 Answering a few reader-submitted questions about GURPS (from this post). An audio only version (MP3) of the character creation get-together for our new GURPS Cyberpunk game, Darknet, as mentioned in these posts. No editing/post-production done, audio provided solely as-is. The original Happy Jacks video — the source file — is available here on YouTube. An audio only version (MP3) of the first actual play for our new GURPS Cyberpunk game, Darknet, as mentioned in this post. No editing/post-production done, audio provided solely as-is. Rex Brown, the example character for the basic posts in the “New to GURPS” series. Kerna Dallon, the example character for the intermediate posts in the “New to GURPS” series. Notable, Heroic, and Epic (from this post). Also available for individual download. Cleric, Fighter, Thief, and Wizard (from this post). Face, Hitter, Infiltrator, and Shooter (from this post). Team Leader, Sniper, Grenadier, and Automatic Rifleman (from this post). discussed here in the blog. “The Bunnies’ Tale” is a Watership Down/Bunnies & Burrows-inspired Quick-Play adventure for GURPS 4th Edition, discussed here in the blog. All of the notes and characters for a convention game of children’s toys confronting the Boogeyman I ran at Gamex 2016, as described in this post. All of the notes and characters for a convention game of GURPS Bunnies & Burrows I ran at Orccon, as described in this post. All of the notes and characters for a convention game of bikers and werewolves I ran at Gateway 2016, as described in this post. All of the notes and characters for a convention game of bikers and werewolves I ran at Gateway 2017, as described in this post. All of the notes and characters for a convention game I ran at Orccon 2016. Set in the multi-dimensional city of Locus. based on the unproduced D&D cartoon finale, “Requiem,” as outlined here. GM materials and PC pre-gen characters for a convention game I ran at Gamex 2017, a “Colonial Marines vs. Alien Xenomorphs” inspired by the movie “Aliens.” More details here, here, and here. at Gateway 2014, as outlined here. “The Warriors” movie, as explained in these posts. I’d love to have a PDF version of that sheet instead of prying wide open my nice book, if you can share one with me. Unfortunately, probably not — the original Campaign Planning Form from the Basic Set is available for free from SJGames (http://www.sjgames.com/gurps/resources.html), so there was no issue with making a PDF-fillable version available. But the same is not true of the expanded version from HTBAGG, it’s actually a part of the value of the product it’s in. Until that changes, sharing any version of it infringes the copyright — purchasing the PDF version of the book is the only way to get it (and note, it is not form-fillable). The bomb that fell on Hiroshima fell on America too. It fell on no city, no munition plants, no docks. It erased no church, vaporized no public buildings, reduced no man to his atomic elements. But it fell, it fell.